Hungary and Slovakia signed a declaration of intent to build a north-south gas pipeline in Kosice/Kassa, Slovakia, on Monday. Speaking at a press conference after the signing ceremony, Hungarian Foreign Minister Péter Szijjártó and Slovak Economy Minister Peter Ziga, who signed the pact in the presence of Slovak Prime Minister Robert Fico, both said the new pipeline could reduce their countries’ dependence on Russian gas. The pipeline, dubbed Eastring, is planned to transport an annual 30-40 billion cubic metres of Romanian and Bulgarian gas, Ziga said. 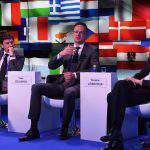 Szijjártó called energy security one of the most critical issues in central Europe today, adding that it depended greatly on infrastructure. He said the feasibility study of the pipeline was being carried out by a Hungarian firm and would be ready by next year. 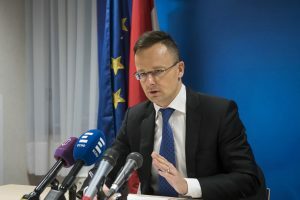 Szijjártó expressed hope that all central and southern European countries would eventually commit to the construction of the new gas corridor. He said that in order for central Europe to secure its energy supply it needed more pipelines, better interconnection among countries, the new north-south pipeline and a new gas source. Infrastructure development is the primary objective, the minister added. 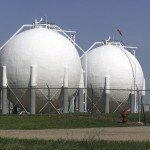 Szijjártó said Hungary has a capacity to store some 7 billion cubic metres of gas. “It is not a stretch to call Hungarian-Slovak energy cooperation a success story and we aim to increase the possibility for north-south gas supply,” he said. As we wrote two weeks ago, Prime Minister Viktor Orbán and his Slovak counterpart Robert Fico laid the cornerstone for a new bridge spanning the Danube between Hungarian town Komárom and Slovakia’s Komarno.